Mr Henry Smerdon AM DUniv is the University’s fifth Chancellor and Chair of a number of key University Committees. Prior to commencing as Chancellor on 1 June 2015, Mr Smerdon was the Deputy Chancellor of the University from September 2000 to May 2015. Mr Smerdon’s association with Griffith dates back to April 1997 when he was first appointed as a Governor in Council member of the University Council. Mr Smerdon has chaired the Finance, Resources and Risk Committee from 2000 to 2015. Mr Smerdon’s distinguished finance career dates back to the 1980s. He was a senior executive at Queensland Treasury, where he served as Under Treasurer and Under Secretary from 1989 to 1994. He was the Chief Executive Officer of the Queensland Investment Corporation from 1995 to 1998. He was also the Government Statistician for Queensland from 1990 to 1995. Mr Smerdon has been a member of and made significant contributions to many boards and committees over several decades, particularly in the finance, education and arts sectors. His extensive contributions were recognised in 2010 when he was appointed a Member in the General Division of the Order of Australia (AM). His current directorships include Principal of Strategic and Financial Consulting Services; Director, National Trust of Australia (Qld); Chair, AustSafe Super Ltd; and Chair, Currumbin Wildlife Sanctuary Committee. Previously, his Board memberships have included Chair, Flagship Investments Ltd; Chair, Queensland Education Institute Ltd; Chair, Queensland Performing Arts Trust; Foundation Chair, Q-Invest Ltd; Chair, Government Superannuation Funds; Deputy Chair, Queensland Industry Development; member, South Bank Corporation; member, Suncorp Insurance and Finance; and board member/CEO, Queensland Investment Corporation, to mention but a few. Griffith University believes in, celebrates and strives for the remarkable. As one of Australia’s most innovative tertiary institutions, Griffith is an influential contributor to education and research in the Asia–Pacific region. Since opening in 1975, Griffith has grown from a small, single campus of 451 students to a comprehensive university with over 50,000 students across five campuses in South East Queensland and a network of 200,000 graduates. Ranking in the top three per cent of universities worldwide, Griffith consistently performs in the top 300 of the major international indices. Griffith also ranks highly as a young university, regularly featured in the QS University Rankings Top 50 Under 50 and Times Higher Education Top 100 under 50. 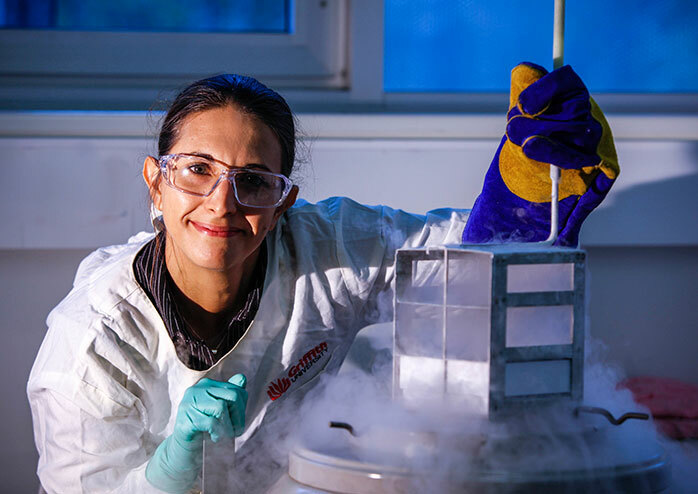 In the most recent Excellence in Research for Australia (ERA) results, Griffith was rated at world standard or above across more than 50 different disciplines. Griffith has a long history of offering new and innovative degrees that meet the ever-changing needs of students, industry and the community. As well as introducing Australia’s first degrees in important fields such as Asian studies and environmental science, Griffith is a leader in online education. Today, Griffith offers over 200 undergraduate, postgraduate and research degrees in business and government, criminology, law, education, engineering, IT, environment, planning and architecture, health, humanities, languages, music, science, aviation, and visual and creative arts. These degrees are informed by cutting-edge research and delivered by some of Australia’s most highly awarded teachers. Featuring prominently in annual national teaching awards and citations, Griffith is the only university to have three recipients of the prestigious Australian University Teacher of the Year award. Griffith also received a five-star rating in the 2017 Good Universities Guide for Teaching Quality and Overall Student Experience. At Griffith, students benefit from an extensive network of industry partners to gain the skills and confidence that employers want. Griffith is proud to be an Official Partner of the Gold Coast 2018 Commonwealth Games. Through this partnership, Griffith students and staff have the opportunity to play a role in the lead up to and delivery of the biggest event in Australia this decade. In all major disciplines including Health, Business, Sciences, Humanities and the Creative Arts. World-leading research into drug discovery, vaccine development and the creative application of technologies. Extensive global mobility opportunities for domestic students. More national citations than most other institutions, including three-time recipient of Australian University Teacher of the year. Under the provisions of the Griffith University Act 1998 (QLD), the Council is the governing body of the University. Council provides oversight and leadership, and is responsible overall for the sound and effective governance of the University.